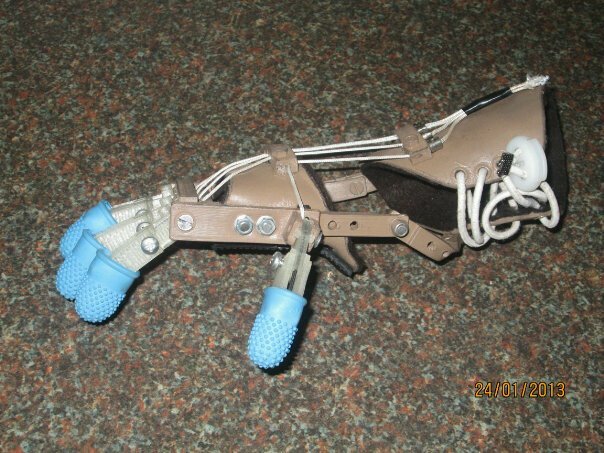 3D printing is a perfect match for lightweight prosthetics, it turns out. The material makes so much sense for children, whose parts will invariably need to be re-sized and whose use of force is still in development. I covered the “magic arms” a few months ago; the promise of these printed parts’ physical qualities, plus resources like openSCAD, just keeps getting better. The designer-engineers just made the project entirely open-source over at Thingiverse. The video below tracks Liam on Day 3 of his new hand’s use—practicing the fine art of picking up coins from a table and throwing a ball.